Business cards are a necessity for lots of company employees. This article provides some general recommendations for the creation of business cards, including how to choose the correct format, design and printing house. Business card sizes are different across the world and even in the same country there can be a range of different sizes used depending on who is doing the printing. The most popular sizes of business cards: 90х50мм and 85х55 mm. These two formats are preinstalled in Wilda online editor. A business card typically includes the owner's name, company (usually with a logo) and contact information (address, phone number and/or email address). Business cards can be divided into types: personal, business and corporate. Personal cards are mainly used in informal communication with friends. As a rule, the name, surname and telephone number of the owner are indicated in such business card. Business cards is used in business, at official meetings and negotiations, to provide contact information to partners and clients. On business cards must be indicated the name, surname, position of an employee, as well as the name of the company and the type of its activities. In accordance with global practice the first name and the last name must be entered. A business card without an address also does not comply with the norms of etiquette. Corporate business card, as a rule, does not contain names. When printing, it contains information about the company, the scope of activities, a list of services, contact numbers, a map, website. 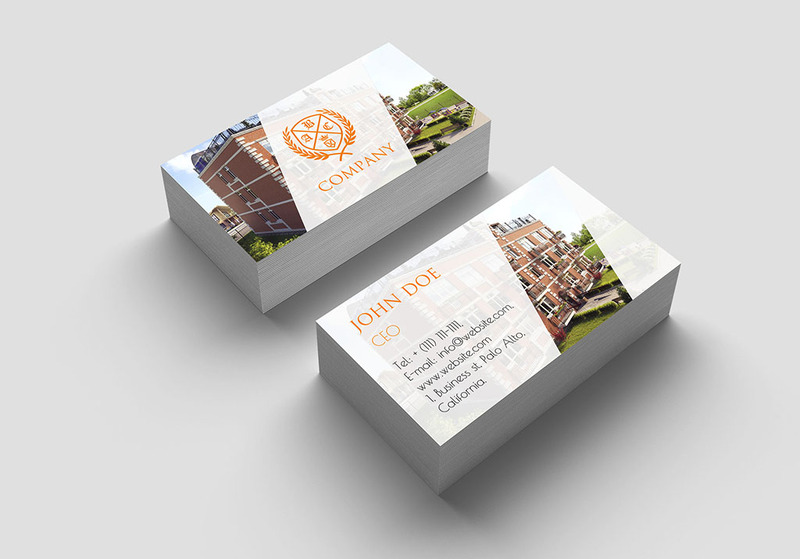 Usually corporate business card reflects the corporate style of the company. It has an advertising character and is mainly used at exhibitions, conferences, etc. Generally speaking business card designs follow the corporate or business branded design, so it is certainly best to use branded fonts, colours and logos. It is very important that the business card is in keeping with the corporate style of the company or organisation. Therefore, using the graphical content from the coporate website, such as a photo or a background, works well and creates a sense of continuitiy and uniformity across all of the advertising materials. However, when in pursuit of corporate identity do not forget that a good design shold be simple. The dimensions of the business card are small, so do not try to use a lot of graphic elements in the design. Business cards must also contain the most readable fonts. It is not recommended to use complex decorative fonts, unless it suitable to business. On our website you can see a large number of business card templates, where structure and design meet the most modern requirements —minimalism and functionality. Printing of business cards is carried out in the printing house. On the Wilda online builder you will be able to create and edit a business card in real size, while the printing house will decide how to conveniently and economically arrange the layout you have provided them on the printing sheet. To print business cards in the printing house, you must save them in PDF format. This is a vector format which can be easily modified by the printing staff or, if necessary, with the help of a professional design program like Adobe Illustrator.